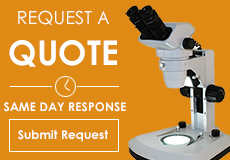 Digital microscopes, microscopy cameras, WiFi microscope cameras and microscope camera adapters all help provide a live image from the microscope onto a screen or digital platform. 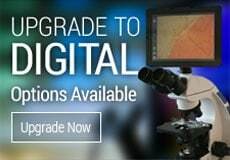 Digital microscopes are available with built-in tablets, digital USB microscopes or WiFi cameras that can connect up to six devices and show a live image at one time. Microscope digital cameras and video cameras provide a live image feed directly from the microscope to either a computer, or a LCD projector or monitor. Microscope video cameras provide a great option for high definition and a faster frame rate from the microscope video. Many microscope cameras include software for capturing and saving images as well as making measurements. Digital camera adapters allow connection of a digital SLR or point and shoot consumer camera to a microscope. Video flex cameras are popular among teachers and in classrooms, as they make it easy to project images from the class directly onto a larger screen. These are perfect for science experiments, and can also be connected with a microscope.